The Hammers had a good game against Birkenhead today, hard fought and narrowly lost 3-2 at the death. James' took on captain duties and was proudly wearing his black armband in memory and honour of his big brother. 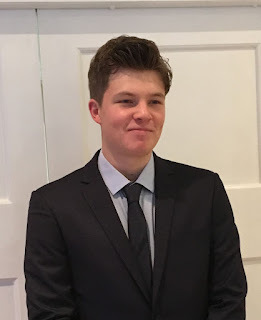 Yesterday, our family received the horrific news that our beloved seventeen-year-old son Jack, had died in his sleep in his dorm room in Dunedin. Jack had recently been diagnosed with Epilepsy and we suspect complications from a seizure in the night has taken him from us. He had just started on his next great life journey at Otago studying conjoint law and science. It was going well, he was loving Otago and all the challenges of first-year university. We are absolutely devastated that our loving and caring son who had so much potential and life yet to live has been taken from us so soon. Angela and I; his younger brothers Henry and James are travelling to Dunedin to see Jack and bring him home. We hope to be home on Wednesday. 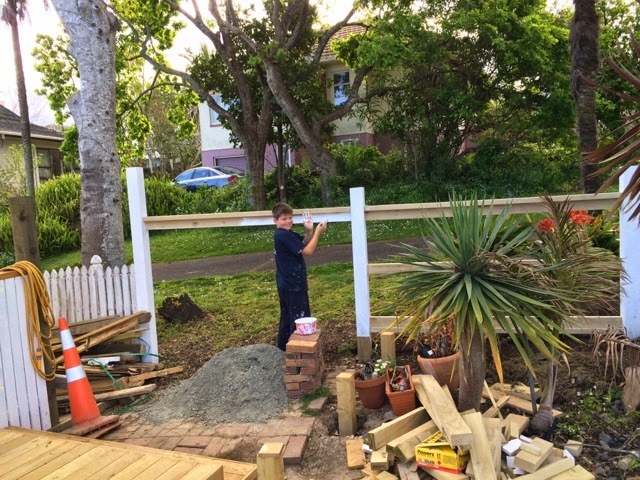 Our new fence is finally taking shape, especially thanks to James's fantastic painting skills. 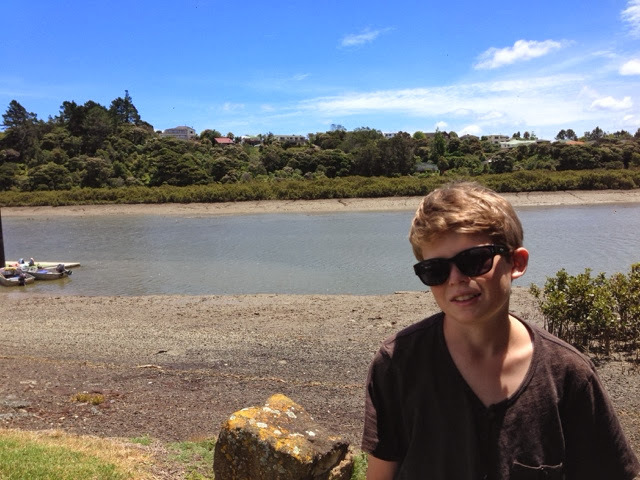 Congrats to Jack who was selected today to represent his school in this years Maadi regatta at Lake Ruataniwha in the South Island. His mum is especially excited as she on leave in March and is busily planning her trip down to support him. I think I will be staying behind to look after the other two. From Wikipedia:The Maadi Cup is the prize for the New Zealand Secondary Schools Boys' Under 18 Rowing Eights. More colloquially, it is the name given to the New Zealand Secondary Schools Rowing Regatta, at which the Maadi Cup is raced. The regatta is the largest school sports event in the Southern Hemisphere, with over 2000 rowers from 120 secondary schools participating in 2013. The regatta is held annually in late March, alternating between the country's two main rowing venues: Lake Karapiro near Cambridge (odd years), and Lake Ruataniwha near Twizel (even years). Henry and James started sailing today with Birkenhead sailing club… part of a 10 or 12 week ‘Learn to Sail’ programme that will take them through to end of season and could lead to more regular sailing – competitions etc. Both are quite excited by the prospect of trying something new..
We will miss sailing next week as we be down on the Whanganui but hopefully get some more pics posted of them out on the water. James and I have been overdue a father & son adventure for some time.. our time finally arrived this week and we headed off. The first stop on our weekend adventure was some black water rafting through a caving system in the Waitomo region. James breezed past the age requirement (i.e. 12 yrs) and got lots of attention from the rest of the crew. There were some really awesome cave formations, lots of glowworms and tight spaces. Great Fun. This years journey south to Timaru involved a change of route through Queenstown. The first time we had been there as a family since Jack was a baby. We only had 4 days but they massively enjoyed – all agreed we needed to put QT on the regular visit roster. There was much debate about what the boys would forgo to get back here more regularly. The Luge and Shotover jet were obvious favorites.. but just hanging out around the town was fun in itself. Boys had a couple of swims in the lake which at around 7 degrees C would have been quite refreshing. We did some cool walks and drives which I’ll post about separately. Trying to redefine cool while watching rowing regatta at Waitemata. Takapuna J3 vs Northcote Aug 03, 2013, a set on Flickr. 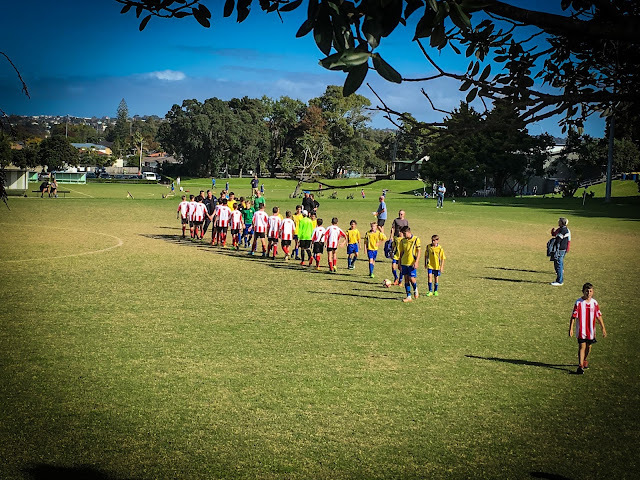 A very very tense game today against the arch-rivals Northcote. Both teams 4 tries a piece and only separated by conversion. Win to Takapuna. Phew.